VietNamNet Bridge - In the rankings by Missosology, Pham Huong was ranked 10th with a score of 4,182, while Lan Khue ranked 19th with a score of 3,545. 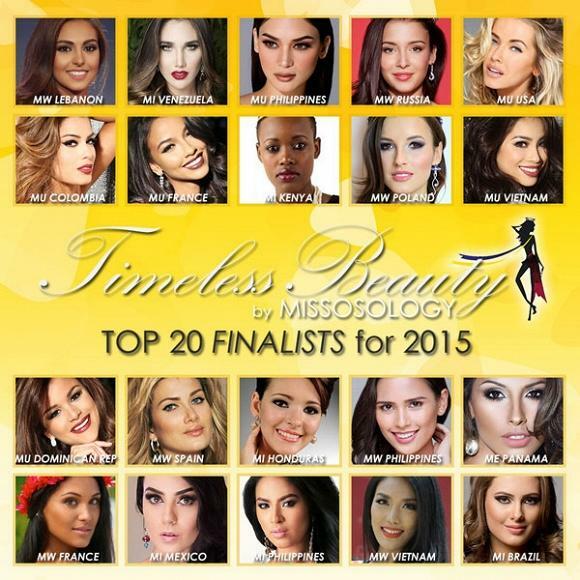 The world leading beauty website Missosology has released the Timeless Beauty 2016 list, with the top 20 candidates at international beauty pageants held in 2015. There are two candidates from Vietnam, Pham Huong and Lan Khue, who represented the country at the Miss Universe and Miss World 2016. The list was made by many judges from many countries. From 66 candidates, they selected the top 20. Pham Huong did not win any award at the Miss Universe 2015 pageant but her efforts were recognized in an objective way. 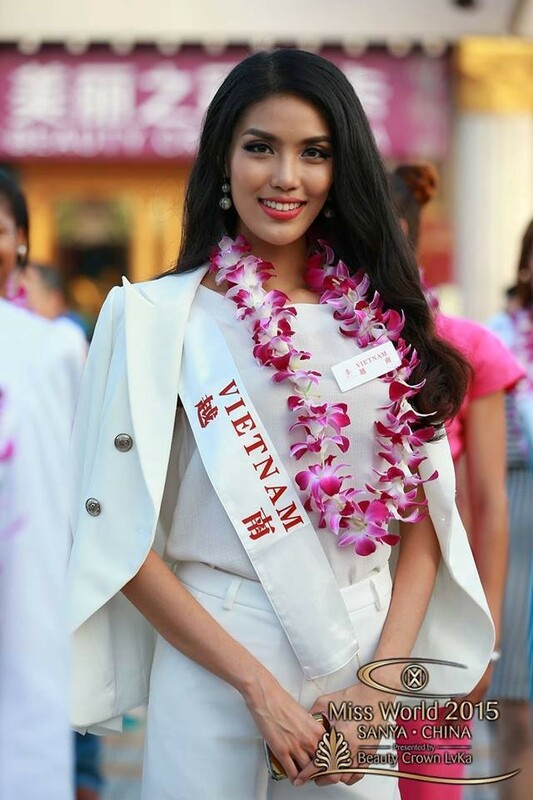 Lan Khue ranked 11th at the Miss World 2015 and won the best evening gown title, bringing in 2.1 points for Vietnam to raise the country’s position in the world beauty map to the 11th last year. The top five positions belong to Miss World Lebanon, a Top 5 candidate of the Miss World 2015 Excellence Valerie Abou Chacra with a score of 4,727, Miss International 2015 Edymar Martinez (Venezuela) with 4,682 points, Miss Universe 2015 - Pia Wurtzbach (the Philippines) with 4,541 points, the first runner-up of Miss World 2015 Sofia Nikitchuk (Russia) with 4,500 points and the second runner-up of Miss Universe 2015 Olivia Jordan (USA) with 4,482 points. The list showed positive signs of Vietnam on the world beauty map.